Seize the opportunity and face the challenge, how can the villas industry play the leading role? According to the relevant data survey, in April, the home building materials BHI continued to rise, the real estate needs to be highlighted, the increase of real estate demand has promoted the development of the home building materials industry, the industry people think this is the precursor of the industry's warming. Nowadays, the appearance of Internet home clothing has caused no small impact on the whole home building building industry, and many doors and windows enterprises also face the transformation and expand the channel of electronic commerce. It can be said that 2016 is another year of opportunities and challenges. No electricity, no business, no mobile, no marketing. In the past, it was a concept. Now it is a reality. In fact, network marketing runs through the whole process of the enterprise to carry out the online operation, including information collection, information release, and e-business based e-commerce phase. It is the network advertising, search engines, friendship links, online news hype and other ways to promote the network. The ultimate aim is to increase sales and improve the brand value of the enterprise marketing model. As an important link of network marketing, network promotion is the form of the least investment, the fastest effect and the best effect to expand the popularity and influence. The network promotion can be specific as a few steps: first, the construction and maintenance of the website platform; secondly, the network advertising, this part of the cost is more, the staff needs. Well planned propaganda theme to make full use of advertising resources; again the network media, the soft promotion of the network media, the crisis handling and website optimization can also be counted in this part, this part is the most able to reflect the work ability and creative part, the enterprise brand and word of mouth mainly from this part of the work; finally the network activity policy. Network marketing promotion, website planning and so on, network marketing promotion is a way to use the Internet platform for publicity and promotion. In the course of future development, network marketing will completely subvert the traditional marketing mode of door and window industry in our country, promote the new revolution of the marketing mode of door and window industry of our country, and the traditional marketing will be the history. The term innovation has been revolved around the development of doors and windows enterprises. Technological innovation should not only meet the current market demand, but also see the future needs. This first requires enterprises to innovate in ideas, enterprises should broaden the channels of information, carefully study the development trend of products, and can not follow the current market demand is also step by step. At present, both the market of doors and windows in China and the consumers are no longer satisfied with the general and use requirements for the pursuit of only doors and windows. In the case of policy, economic and market demand for environmental and functional products, doors and windows enterprises must adhere to scientific and technological innovation, find the breakthrough point to conquer the key technologies and introduce foreign countries. Advanced science and technology and management experience to promote sustainable and healthy development of the industry. On the other hand, we can improve the quality of doors and windows, improve the production equipment and technology, and improve the comprehensive utilization rate of resources by improving the technological content. Our government advocates building a resource conserving and environment-friendly society. Therefore, doors and windows enterprises must control pollution sources from the source. In the future, the environmental protection standards of the door and window industry will be more and more strict. Although it is the self adjustment and upgrading of the door and window industry from the environment and the cost pressure, it should actively change, accelerate the elimination of backward production capacity, get rid of the pressure of energy saving and environmental protection, avoid high energy consumption, high emission, and reduce the emission of waste water. Develop circular economy, develop green environmental doors and windows, and change materials such as water-based paint on product structure. Now the entire doors and windows industry is in a critical period of industrial restructuring and strategic transformation. Doors and windows enterprises must rely on policy guidance to speed up industrial optimization. 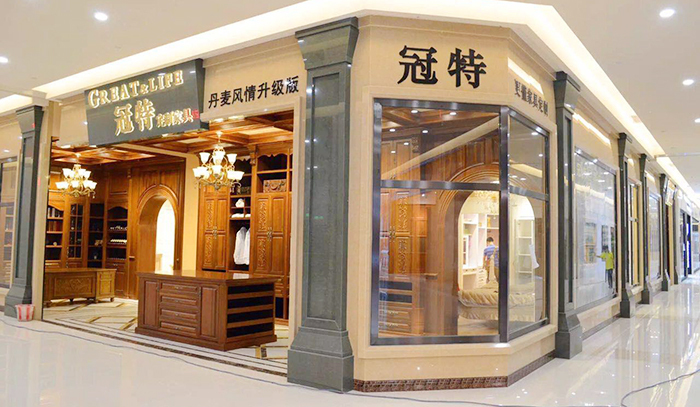 上一页：Where is the transformation of the villa door industry?